The final meeting of the CATSENSE Initial Training Network Supervisory Board took place on 27 and 28 November, with CIDETEC participating as advisor. Catsense purports to develop catalysts and biosensors based on gas-phase metal clusters. Catsense is an FP7 training network for young nanotechnology researchers funded under the Marie-Curie Initial Training Network (ITN) programme (grant agreement number 607417) to accelerate know-how in new high-performance nanomaterials. It began in 2014 and, during these three years, has served to drive discovery in this sector as well as collaboration between the different participating centres and industries: Leuven University, the University of Birmingham, the Technical University of Denmark, the University of Milano-Bicocca, Tel Aviv University, the University of Milan, Teer Coatings Limited and Johnson Matthey. Each student was trained through two-month rotating internships (so-called secondments) at the various participating centres. They were thus able to work not only on physical methods for cluster preparation but also on characterisation methods, electrochemical techniques, catalyst, sensor and printed circuitry development, etc., covering broad areas of knowledge as well as applications in the industrial sector. Throughout these three years, the CIDETEC Sensor Unit has collaborated with this consortium through consultancy regarding the sensor applications of metal clusters. CIDETEC participated not only in the meetings but also in the summer school programmes held by the network, where it imparted training in printed circuitry and biosensors to the young doctoral candidates. It also manufactured and supplied screen-printed electrodes for the network, on which gold clusters were deposited in single layers, with promising results for different applications. 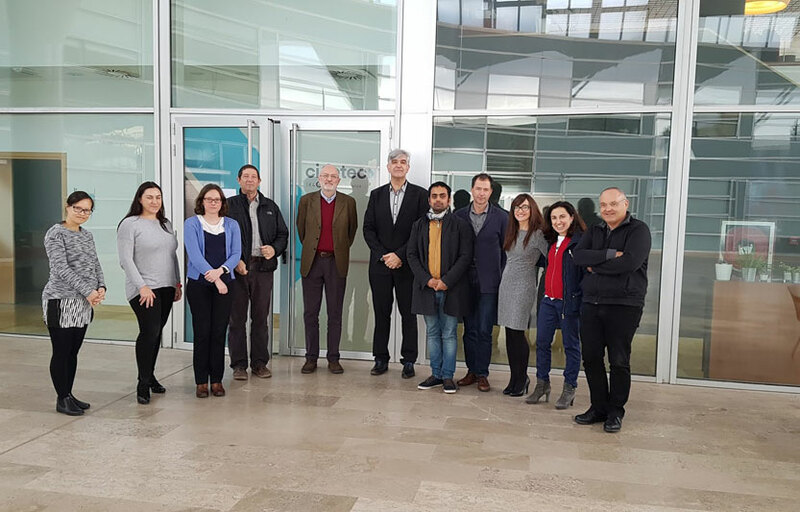 This final meeting of the CATSENSE Supervisory Board held in CIDETEC verified the proper fulfilment of project objectives and reviewed the most promising applications for the clusters developed as well as the possibilities for the exploitation and continuity of this research in other contexts.